Driving through minty green fields in my small boxy European car, I was looking for a lot to buy on an island. After I found one, my companion took me in her car back to the mainland. She looked familiar. She was a twenty-something woman with long brown hair; I knew her, but try as I might I could not remember her name. We went to meet some folks she said would be interested in my ideas. We waited for them for an enormously long time, looking out the window to the wintry narrow Oslo streets from a messy third-floor apartment. Inside, the lighting, which came from an unknown source, suffused the furniture with a dark gray hue that was set off only by a flat reflection of the walls' white paint. When everyone gathered, they showed me several thumb-sized dongles that looked like plug extensions, except they had no pins. A blond guy in a suit, a serious but soft-spoken young man, explained that they were building a "skyryx." I asked what a Skyryx was, but he couldn't explain it to me. Every time he tried, others intervened to say that such-and-such a function was not yet proven to work. Somehow, it would connect or communicate or transform or control wifi channels and all sorts of peripherals from outside a computer or from other devices. I got stuck on the name because it didn't mean anything. However, the group vociferously rejected verbs such "switch" or "connect" or "control" to describe what the new gadget would do. But that's what it does or might do, I argued, to no avail. Suddenly, they realized they were late for something else and left in a hurry without saying goodbye. Even my companion left me alone. I fell asleep and later woke up in the disturbing grayish apartment. Near me were the dongles and a dark rectangular cardboard box about the size of a piano-bench seat. In it were blueprints and instructions. I put all the dongles in the box and walked out with everything to find my car, which was back on the island. My island had meanwhile been plowed and built up, with beautiful little farmhouses here and there dotting neatly plowed fields. As I became familiar with the terrain, it came to me that a magnate was buying up all the land on the island, almost leaving mine locked off the road. Looking around, I realized that my plot had no path from the main road to my newly built farmhouse, near which was my car. So I began to trudge through fields to get there. The island had unnaturally minty green plants that stood up like wheat stalks. Fortunately, they were not stiff, so I could easily push my way through as they waved in a gentle breeze. The field in which I was walking was about a person's height higher than my field, but I came across a downward sloping rutted dirt path. I just knew it led to my car and started down that way. Then, as I was almost at my car, I heard loud voices from the field from which I had just come. They were calling out to someone who, because he was on the higher field, I couldn't see. I left my stuff in the car and went to help. Retracing my steps, I came to close to where he was and recognized one of the guys who showed me the gadget. He was carrying a thermos, which kept him from gripping plants to steady his way down the path without slipping. "Give me the thermos and I'll help you," I said to the youngish man. As he passed me the thermos, he turned his attention to me and recognized me. "Hey, a lot of people are looking for you. Do you know where the stuff we showed you is?" he said. "I have it in the car," I replied. "If I'm going to name the thing, I have to understand it, so I took it to study it." Turns out I hadn't understood that I wasn't on the project yet; the encounter had been a job interview and they hadn't decided on me. "It's an 'outboard nexus,' "I said. "We should call it an Outboard Nexus," I repeated, explaining the name by way of recalling the engine off a small fishing boat. We drove back to the mainland in my car. Back at the grayish apartment they all argued with me. Then I realized. 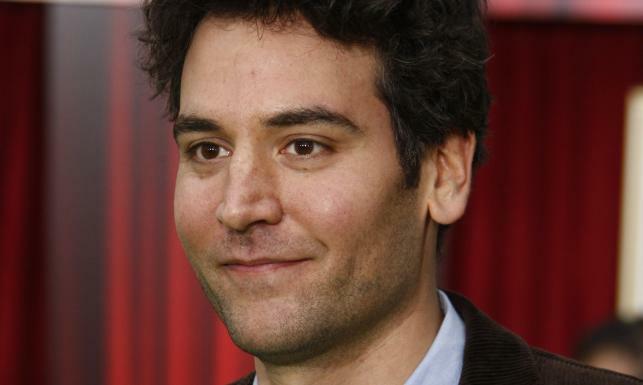 The guy with the thermos was Josh Radnor. I knew I knew that face. Mosby in the TV show "How I Met Your Mother"
That's when I woke up and trudged to the bathroom. It was 5 am. One of the things I learned in grand jury duty is that they were not my peers. Could I be fairly judged anywhere? Is each of us so unique that we are peerless? A friend offered the phrase in the title as a response: Every human being is unique, but maybe you are more unique than others. Ever since the 1960s, after which everyone had to be "creative"* and, of course, of such individuality as to be unique, people have been going around saying idiotic, self-contradictory things such as "everyone is special" (said by a Special Education teacher, in front of a crowd that included a politician whose kid was in her class). I loved the 1960s and would not reverse them by any means, but some things got misunderstood. One of them is this business of uniqueness. Saying everyone is unique is a way of saying no one is. Of course, our fingerprints and DNA are, at some cellular and micro-molecular levels, unique. However, let's not get too carried away by that. Because we all have DNA and fingerprints, and in that respect we are universally like one another. We are, if we think of the Creator as a painter and the elements of our being the colors of a palette, variations or hues from the same range of possibilities. In the beginning, She painted one person tall and one person short, one fat, one skinny, one dark, one more pale and so forth. Of course, given 7 billion** people, the number of possibilities is pretty large. I applied the numbers to myself. I belong to a number of people in our era who, as a result of parents' background and peripatetic jobs, were born in the 1950s as part of a cultural fusion, anticipating by decades the effects of globalization and instant global communication (the Internet). In my case the mix was unlikely, as the two particular national cultures included that of Argentina and of the United States. There are 41.3 million Argentines, or 0.59% of the world's population and 312.8 million Americans, 4.47% of the world's human beings. A probability calculation yields a 2.65% of the world's population that has the same two cultural components. I am male, so I must pare that down by half (1.33% of all people). I am part of the post-World War II "baby boom" generation, which represents roughly 17% of the population (down to 0.07% of all people). That's pretty unique, you'll say. And I haven't counted other distinguishing characteristics: hair and skin color, height and weight, languages spoken, education attainment and so on and so forth. There remains the fact that the science of medicine that applies to other people applies to me. My liver may function differently from yours, but we both have livers and the medicine to cure mine will more than likely cure yours. Indeed, if we were truly unique, we could not have language and communication (yes, most people are very bad at this) nor any kind of collective characteristics. Still, perhaps I tend to be rare because I speak two languages with an identical and very high proficiency, plus a few others only a smattering, or just enough for etymology, history or exegesis, all hobbies of mine. Among Argentine-Americans (of whom I know only my half-siblings), I am among the half (mathematical odds) that chose to fight the unaccepting social environment of one part of my culture, rather than flee the conflict. I became the contrarian whose musings populate this blog by the force of habit. I almost expect people to disagree with me and vice versa. * To create still means to make something from nothing, to originate the existence of something. No human being is creative; we are, at best and hope the crick don't rise, innovative in our arrangement of what there is. ** All population figures are for 2012 for comparability.